Last week, Salon published a very controversial piece, and I posted my response here. It's hardly the first time I've discussed cultural appropriation here on my blog, and it certainly won't be my last. However, I also started a new dance class last week that had a different focus than any of the classes I've taught before. 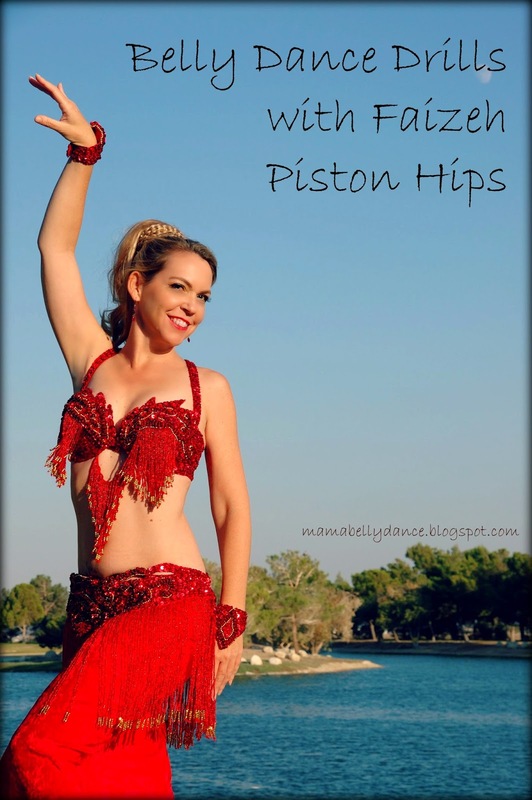 Last Friday I began a belly dance class exclusively dedicated to fitness. The Salon rant was published on Monday, as was my response, but all week, I continued to dwell on the frustration, the hurt, the indignation that was evoked. At my various rehearsals, we discussed it. Having lunch with some fellow belly dancers, we discussed it. My husband had to listen to me as I worked through all the feelings brought to the surface. And then, there I was Friday morning with 30+ women looking at me, waiting for me to get them moving, probably not caring if the shimmy was Egyptian or Bedouin. I began the class explaining that this was the first time I would be teaching belly dance strictly as exercise, and that for the last thirteen years, I'd taught all the things that went with it- culture, costuming, history, performance. I could tell the ladies were excited to get started and try something new. So, we began. Even as the heavy beledi beat began, I could feel my tension wash away. This is my passion and who I am. 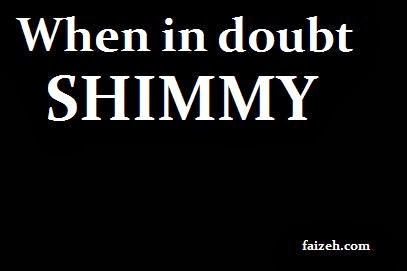 I could not stop belly dancing if I tried, no matter who approves or disapproves. I knew that even if wasn't giving written tests to this new group, they would learn the art of belly dance through me, because that is what it is, and because of who I am, I cannot present it it any other way. Even if I never say a word about it. Of course, in the short breaks to open up for questions, I couldn't help myself. I explained ethnic differences in certain styles of shimmies we were doing, and told them what rhythms they were hearing. My heart soared after class when I was surrounded my half the class, asking for more information. Unfortunately, I wasn't prepared, but this week, I'll have fliers with web addresses directing them to the information they seek. In the end, this is art and expression. When I dance I get to say everything my words cannot convey. I just needed to dance to remember that. Today, Salon posted a piece that is making the rounds through the belly dance community, and to be blunt, I think it's pretty darn offensive. The writer of this brings to mind that guy on the first season of Real World who (wrongly) insisted that because he was black, he couldn't possibly be racist. She accuses white women of being racists, but in so doing, she reveals her own racism. If you follow me closely at all, you know that I take cultural appropriation very seriously. I am extremely vocal and unashamed about how important I believe it is to seriously study the history and culture of the art we are portraying. It is imperative for us to understand the difference in Orientalist origins as well as the varying Middle Eastern origins. I've complained about cultural laziness in Western dancers, I've defended Arab viewpoints, I've lectured my students on how I refuse to just teach them dance moves. I recall discussion with Amara- who has a PhD in the study of Middle Eastern culture and dance- about knowing rules so you can make educated decisions about breaking them. The author goes on to accuse other members of her race who teach to non-Arabs of being sellouts and lacking in self-respect. If her issue is actually with cultural appropriation, the best weapon to battle that is education, is it not? I also understand that as a member of the privileged majority it is easy for me to dismiss the feelings of someone from another, non-dominant culture. However, understanding that does not mean I should allow White Guilt to cloud my thinking. Ultimately, the author of this piece is absolutely no different than white members of a country club saying, "This is for us only! You don't belong." By stating that white belly dancers should not belly dance, she is stating that everyone other than those she deems acceptable must keep their filthy hands off what she thinks is hers, and hers alone. She elevates herself and her judgment above others based solely on their race. If that is not racism, what is? Thankfully, in the years I've studied Middle Eastern cultures, I've received much encouragement from many Arabs, Persians, Armenians, etc. Through that encouragement has come insight that has helped me understand many aspects of their art, so I can respectfully present and preserve it. The majority of them are delighted I am so in love with the cultures and want to share even more with me. They appreciate that I want to elevate and study and represent it, and do not resent that I am of a different race. Ultimately, the line between celebration and appropriation can be very fine, and this is a discussion that is good to have. However, insulting a entire group of people and making assumptions about the motives of every last one of them is not the way to engage this discussion. A good place to start is to examine one's own racism.